Everyone in the United States has rights under the law, and violating someone else’s rights is illegal. Intolerance in our country is something no one should have to experience or tolerate. 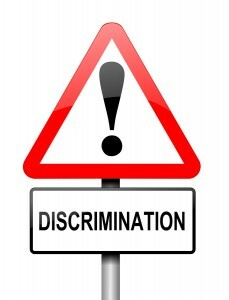 For three decades, the Bronx discrimination lawyers at the Law Offices of Thomas J. Lavin have advocated for the victims of employment discrimination, housing discrimination, and discrimination in public accommodations. We also work on behalf of those who are victims at the hands of police, a private company or by other governmental entities or employees. Employers in New York may not discriminate against anyone on the basis of a person’s race, age, disability, nationality, religion, pregnancy, gender, or sexual orientation. The law protects you as an employee and as a job-seeker. If you are a victim of discrimination, harassment and intolerance at a business, by a government agency, or if you experienced discrimination at work or while applying for a job, take action now. Discuss your rights and options with an experienced Bronx discrimination lawyer at the Law Offices of Thomas J. Lavin. Let an experienced discrimination lawyer handle your case. With six decades of combined experience, the Bronx discrimination attorneys at the Law Offices of Thomas J. Lavin routinely fight on behalf of workplace discrimination victims. We know exactly how tough it can be to endure in a hostile workplace. Let an experienced Bronx discrimination attorney fight on your behalf to bring the injustice to an end. With lots of experience in the area of employment law, we can work to help resolve your case out of court or via litigation if this avenue becomes necessary. If you’re experiencing on-the-job discrimination or harassment of any kind, including sexual harassment, please call us to schedule a free legal consultation. Although no guarantee can be made regarding the outcome of any particular claim, an experienced Bronx lawyer at the Law Offices of Thomas J. Lavin will fight hard to help you obtain reimbursement for lost income and other losses. If you want to keep your job, we can assist in this area as well. As our client, you’ll pay no attorney’s fee until you obtain the reimbursement you need and deserve. Serving clients in the Bronx, Brooklyn, Staten Island, Queens, Manhattan or anywhere in New York, if you’re experiencing on-the-job discrimination, call us at 718-829-7400 or toll free at 800-394-4216. You can also fill out the form on our Contact Page. Our law firm will help you fight for justice.